via Don’t Tread on Anyone: James Corbett joins Keith Knight of Don’t Tread on Anyone to discuss the philosophy of voluntaryism and the role that conspiracy research played in shaping his understanding of the real nature of politics. Also, don’t miss James’ left field answer to the question of the must-read book he would recommend. The point you made about a statute of limitation in peoples minds about past deceptions is interesting. I sense it may have something to do with the fear people may have of feeling compelled to do something about it, if the deception was committed in a time frame in which they have influence. Obviously, people today can have no influence on an event 80 years ago, so they are more willing to accept a deception in that time frame. I told somone who was foaming at the mouth fusrious about getting an undeserved traffic ticket that IF THEY GO TO COURT the will still loose BUT the cops waste time and if enough people do that its not worth their time…. the foam disapered and they decided that it wasnt worth the effort. People want to be liked, its that desire to fit into a group and have people smile at them that foces their minds to unsee all the things going on around them bcause at our heart humans are bad, selfish creatures that maily desire our own needs. We needed a group to exist for most of our species life. I thin no one cares about an 80 year old deception because most westerners are so historicaly ignorant and grounded in th present age of endless “noise” (which is kinda like what the screwtape letters recomened as ideal enviroment to keep people from thinking) that people dont care about the CLEAR OPEN HISTORICAL FACTS of the past let alone the hidden ones. Neil deGrasse Tyson has no clue how much he’s revealing about his lack of research into the events of 9/11 by asking that question. Virtually every aspect of the official fairytale, and the behavior of involved people, begs a huge critical question that’s never been answered, or was answered in an absurd manner. Even a completely mainstream tinfoil-free detective (assuming he’s fearless, unbiased and incorrupt) would have an enormous list of major questions. a) He/she doesn’t want to get problems with the status quo (like for example getting TV gigs) and doesn’t want to endanger his (monetary) existence. He/she assumes that there is more to it but wants plausible deniability. This is the worst kind of people (after the original perpetrators, of course). b) His/her inquisitive mind investigates the 9/11 case and will come to the conclusion that there are way too many facts standing in the way of the official narrative and countless problems with the official report itself. This can only lead to either be vocal about it (and face the consequences) or shut up and become complicit (see below). If you stay with the official version, even if you have doubts, then you are stupid at best and complicit at worst (ranging from “not very intelligent and not well uneducated” to “intelligent and very educated”). I lost half of my family for not becoming complicit and generally staying true to my beliefs which are based on investigation and not “religion” (= staying with the “official narratives”, mostly coming from government and its agencies). If somebody wants nothing to do with me: Fine, I’ll live with that even if it is sad. But I simply can’t jump over my own shadow. I don’t preach water and drink wine, either. I’m not sure how doable is that for you, but maybe look into what Larken Rose is doing with his “candles in the light” thing. It seems you fit the bill to a tee. Sigh, that edit timer made me drop the ball. 7 billion would be the correct figure. thanks for the suggestion – will look into it! and for the Majority of my entourage, ABSOLUTELY IMPOSSIBLE to do so??? For even 5 seconds! most people won’t believe it. They believe what they’re told and not what they can see perfectly well with their own eyes if they’ll just look for a moment. no one believes him. They just can’t. Or don’t want to. You can’t get people to question democracy or any other foundational “truths” if they can’t even SEE THE OBVIOUS LIE crumbling on the screen. A question of cynicism and trust. Would they, Could “THEY” REALLY do that? The answer to that question will be decisive in your vision of the world. Without having learned any more about it. Less than a month ago James was a guest on ‘The Ripple Effect Podcast’ along with Hunter Maats, hosted by Ricky Varandas. Although the topic was ‘The Problem With Schooling’, Hunter found a way to inject 9/11 into the discussion. At one point he just blurted out “…if you want to talk about 9/11, 19 men with box-cutters who sneak onto a plane, exploit a loop-hole and get lucky one time…” (he was being serious). James you had quite the chuckle about that comment. Fast forward to this week’s interview by Keith Knight. 1. Regarding 9/11, give me one to three; your best pieces of evidence for 9/11 briefly. 2. What you would need to know to change your mind? “this is actually something I think about often”. 1. Regarding 9/11, give me one to three; your best pieces of evidence that show/prove the official government story was untrue (or that it was an inside job)? 2. What you would need to know to change your mind and accept the official government story? Quite surprisingly, instead of landing killer 1-2 punches by answering the first question, James skipped it and opted for a series of soft body blows, answering only the second question. For more than six minutes he listed items he feels the government would need to address/explain before he could change his mind and accept their story. After all these years and all the 9/11 videos you’ve made, this was quite the eye-opener for me! but then, where to start when you know a zillion minute details about 9/11 that probably no one else on the planet has assimilated and that you’ve already talked about a zillion times as a guest on a zillion different platforms…?? Yes James knows a zillion minute details about 9/11. I’m quite familiar with his entire public output on the subject. The point I’m trying to make is that earlier in the interview he stated just how important it was to have an opportunity to answer questions that really matter. He talked about the MSM never asking the right questions. Well here we are. Keith Knight finally asks James the question about 9/11 I’ve been waiting for him to address for years. I know all about his ‘Who Was Really Behind the 9/11 Attacks’ video and his ‘9/11 Suspects’ videos etc. BTW I am in total agreement with everything he says in them! But they all deal with circumstantial evidence. Everything in those videos could be explained away by a talented team of government lawyers. Well fortunately for us we have ‘smoking-gun’ rock solid physical evidence that proves 9/11 was an inside job. Once this is explained to the public, by all means bring on the rest of the circumstantial evidence as extra padding! But don’t omit the best bullet-proof evidence, especially when you are asked a question about it in an interview (and also have your own personal platform to broadcast this)! One of the main reasons why 9/11 was such a monumental success on the part of the perps was because the general public lacked the knowledge and experience to discern the scam that it was from the outset. When we bang our head against a concrete wall we know it will hurt. If we keep doing it we will get a headache or may even suffer serious injuries. Everyone knows that. If we fall down a set of stairs we know what to expect. Cuts, bruises, broken bones etc. Everyone knows that. If we cut ourselves with a knife or burn ourselves on a stove, similarly, we know what to expect. We learned all of these things from personal experience or observation. How many people had seen buildings being hit by planes prior to 9/11? How many people have seen buildings hit by planes since 9/11? How many people had seen steel and concrete buildings collapse prior to 9/11? How many people have seen steel and concrete buildings collapse since 9/11? This lack of knowledge and experience on the part of the general public gave the perps great latitude in what they could get away with. Any scientist, physicist, physics teacher/professor etc. in the world, who hasn’t been bought by the PTB and who doesn’t fear losing their livelihood, will tell you with absolute certainty that it was physically impossible for the towers (WTC1,2,7) to ‘collapse’ the way we saw, without the aid of explosives. It is basic physics and you learn about this in any Physics 101 course. The towers were brought down by explosives. This means that they had to have been prepped for demolition well before 9/11. This means that the alleged hijackers couldn’t have brought them down, as we were told. and that people in general have about as much experience with building demolitions as they do with stock exchange “puts” or obscure geo-politics? Well that’s the thing. Because he still did not address them (James: “everyone talks about the building collapses, so I, that’s great, other people can talk about that”) I don’t know HIS take on them. I think it’s important for Corbeteers to know his take on it, given their central importance in 9/11. It seems that he is genuinely waiting for an explanation from NIST other than what we have been provided so far. If he KNEW, truly knew, that it was impossible for the towers to have come down as they did on 9/11 without the use of explosives not only would he have not said what he said (above) but he would have refused to answer Keith’s second question! If he truly knew the towers were demolished then absolutely NOTHING could change his mind. That is what I was expecting him to say. Rather, he went on for 6+ minutes talking about the ‘money trail’, the ‘air defense’, ‘political connections’ etc. Saying that if the government provides more convincing evidence about this and this and that; only then might he consider changing his mind. I don’t feel that he ducked the question. There is a lot to be said about 9/11. Entire documentaries have been made covering just a few aspects. In an interview scenario, it would be inappropriate to segue the interview into a full blown discussion about 9/11. Way back, on one of the first “Questions for Corbett”, he gives mention to the collapse of the buildings. During that era, Corbett was probably following the 9/11 news everyday. He certainly watched the NIST summer of 2008 report. I bet he recalls when the BBC’s Jane Standley video first appeared and everyone was trying to verify the timestamp. On the 9/11 historical researcher/community record, especially during that era of “the wild west” 2005-2009, there were many contentions, speculations and power-play “politics” by different researchers. hrs:I don’t feel that he ducked the question. OK I see your point now. I just automatically lump together all evidence such as those he mentioned (money trail, air defense, geo-political connections, hijacker details, Able Danger etc.) as circumstantial evidence. Keith was asking for his best pieces of evidence that go counter to the official story. Personally, I only think of and would only mention, hard physical evidence that can not be disputed, as candidates for my best pieces of evidence. As I mentioned, IF you have figured out that the building collapses were physically impossible on their own, the NIST reports become non sequiturs. Absolutely! But now that we have the luxury of time and history on our side (17 years) it should be child’s play to rattle off a couple of bullet-proof pieces of hard physical evidence. Let me be a little more clear on the point I’m trying to make. I alluded to this much earlier in this thread when I stated that human perception is such a strange phenomenon. 100 people reading the same book or watching the same movie will often give you 100 different interpretations of what they just read/watched. James may have done research for years on 9/11, as I have, and even consulted most of the same documents/videos that I did, but his take/interpretation/understanding of what he read/saw could be completely different than mine. I always like seeing your communication on this board. Thanks. You bring a lot to the game. It helps to have two of my favorite posters here both challenging and encouraging me. What really made a 9/11 impression onmy was Corbetts report ON THE MONEY and the crazy amount of pre-attack stock trading… i think its a mistake to focus on something that “Experts” can waffle on about like structureal engerering because people dont see that kinda thing day to day but they DO see people cheating and defrauding and scaming each other. I talked to a couple of people who had zero idea that there was any weird financial activity that made somefolks money… the look in their eyes hearing that was different then when they heard about steel and the physics of jet fuel. Probably a good time, as any, to revisit this. This is a somewhat aggressive talk, but Larken has been doing a lot of self improvement and soul searching. Good for him. I also ran into this very satisfying talk between Larken Rose, Amanda Rachwitz and Derick Broze. The background noise is rather audible, but this video proves there’s no better time than now. Nice interview by Derrick Broze. I am so glad you did this one. I have much to say about it and will go into detail in the coming days and weeks. For now I bid all a good night! I agree. I have to hand it to Keith Knight…he asked some great questions and listened. He did not interrupt like Alex Jones always does. First off I want to congratulate Japanese Naomi Osaka for winning the 2018 U.S. Open Tennis Championship! The final took place in the big apple, New York, a fitting location given the topic I will be writing about. I was going to launch this series on Sept. 11 but a confluence of recent videos (Voluntaryism and Conspiracies, Lawyers Petition for 9/11 Grand Jury, The Secret Lie That Started the Afghan War, 9/11 Cancer, Niels Harrit Exposes the Terror War Lie) has made it impossible for me to bite my tongue any longer. 9/11 was undoubtedly the biggest ‘shock and awe’, ‘catastrophic and catalyzing’ false flag event in the history of mankind. But the biggest shock of all is that despite being witnessed by millions of people, very few have understood what actually took place that day in New York. How about nukes in New York on Sept. 11? 9/11 was a nuclear event! How could that be? How many of us are taught in school what a detonated ‘micro-nuke’ looks like? We are shown photos of mushroom cloud nukes from WWII and maybe a video or two. That’s about it. This series of posts will kill two birds with one stone; answering mkey’s question about when nukes were used on the U.S. and also providing the ‘smoking-gun’ evidence that manbearpig had asked for that proves 9/11 was an inside job. The evidence will be both simple and powerful allowing most to see and understand what happened. The dust clouds in each instance look identical. They are cauliflower-like, thick, complex, rapidly-expanding, extremely hot and rising. Once you know what to look for, they are unmistakable. I will provide links to videos and photos of pyroclastic dust clouds from volcanic eruptions and nuclear explosions so you can see for yourself. Then I will provide links to videos of the pyroclastic dust clouds from 9/11. Finally, just for comparison, I will also provide links to dust clouds from standard controlled demolitions. Most of the WTC towers inner contents were completely vaporized (turned directly to dust). This included all the interior furnishings, the walls, floors, ceilings, business machines, core and exterior steel beams, and people as well. The huge pyroclastic dust clouds that expanded for miles, were the towers’ contents. Had the towers collapsed as we were told they had (or demolished with conventional explosives) there would have been a minimum of 15 floors of debris. There were only two or three floors of debris in certain areas at ground zero, most areas less than that. 5 story building, 1-2 stories remaining (20%), internal parts of building recognizable. Despite falling in own footprint, it couldn’t maintain it and still fell to the side! When underground nuclear devices are detonated there is typically a 10 second or so delay between the time of detonation and the time the explosion becomes visible. This is exactly what happened on 9/11. We have confirmation of this in both videos and seismographs recorded on the morning of 9/11. Video shows the WTC1 shaking 12 seconds before it went down. The Columbia University’s Lamont-Doherty Earth Observatory recorded seismographs, later released to the public, that show huge spikes consistent with massive explosions that occurred around 10 seconds before WTC1/2 went down. These pre-collapse spikes are not consistent with natural collapses or conventional controlled demolitions. It would take a mighty wind to blow multi-ton steel assemblies, laterally, more than 300 feet! There was a very gentle wind blowing in New York City on 9/11. Yet despite these very calm wind conditions, dozens of multi-ton steel assemblies managed to be thrown hundreds of feet away from the WTC towers. If you have little day-to-day experience with multi-ton steel beams, think about multi-ton motor vehicles. Think about multi-ton motor vehicles being thrown laterally a distance of 300 feet or more. A collapse won’t produce these results. Conventional explosives don’t have the power to accomplish this magic feat, nor do incendiaries such as thermite. Nuclear explosives however can easily do the trick. The Deutsche Bank Building (formerly Bankers Trust Plaza) was a 39-story office skyscraper located at 130 Liberty Street in New York City. The Winter Garden Atrium on Vesey Street was more than 400 feet away from WTC1. The American Express Building at 200 Vesey Street is a 51-story skyscraper formerly known as Three World Financial Center. It is more than 500 feet away from the former WTC1. WTC dust samples that were examined by the United States Geological Survey show Uranium, Thorium, Barium, Strontium, Tritium and other nuclear fusion/fission products in high concentrations and correlations to each other that only a nuclear explosion could explain. Radioactive iodine which is a uranium fission product, was also present in the dust. It should be noted that these nuclear products were found in the dust samples despite a relatively clean nuclear device having been used. FaultyTowers , very good theory presented here. Very thought provoking. I don’t know for sure but given the aerosol patients that came out that cannot be seen as a contrail, or visible chemtrail, all those elements could have been part of some other applications. Just speculating on how everything is part and parcel and residues of some weaponized DAARPA HAARPA military industrial information complex. Keep up the endless work that needs doing. You have a nice thread going on this topic. Thanks. I am more than half way through now with the series. James mentioned the nearly 10,000 cancers in 9/11 first responders and NYC residents in the NWNW show from Sep 6, 2018. When you dig into those numbers you find that thyroid cancer occurs at above-average frequency in 9/11 first responders more than any other type of cancer. Thyroid cancer is a signature disease of nuclear explosions. The bedrock beneath each of the towers became a veritable stewing soup mix. Have a look at these remarkable photos taken during the cleanup of the site, months later. Office fires, thermite or a nuclear device? Faulty, have you read anything on plasma weapons? Elana Freeland’s two books scared the beJesus out of me. DR.STRANGELOVE wouldn’t hesitate to pull the pin on atomic hand grenades and wrap the whole thing in a plasma ball in the basements of t1 & t2. Im not kidding. I vaguely remember a guy, had a Russian name , had a paper on thermonuclear devices used there. Seems like he was ex-millitary in the CCCP weapons stuff.??? He called it fissionable but caught a lot of flak as disinformation. And he may have been. I liked it in theory but Im leaning toward plasma, but open to all. Maybe ae911truth grand jury will drill for core samples at the site? Won’t hold my breath. Always hoping we catch a break. Any jury is a crap shoot. Keep digging, know the metamorphic states of the materials on site. Concrete would turn to granite. Granite would turn into ? The nuclear devices used on 9/11 could be considered a type of ‘plasma weapon’. The devices went through various phases once they were triggered. The most lethal and devastating phase occurred when plasma shot up through the towers vaporizing the inner contents, exploding the towers from the top down. In my summary I will give reference to a nuclear physicist who can explain all of this in great detail. Thanks for the heads up! I wasn’t familiar with Elana Freeland and am starting to catch up with her work right now. Yes that was Dimitri Khalezov. I mentioned that I had essentially finished my 9/11 research years ago. I was familiar with all the ‘big name’ 9/11 truthers including Khalezov. The problem was that at the time I just could not wrap my head around Khalezov’s nuclear position. My head was stuck in the giant ‘mushroom cloud’ 1940’s as far as nuclear weapons were concerned. I thought a nuclear bomb would have to demolish the towers from bottom to top, instead of top to bottom, so I dismissed the theory outright until I pricked a ‘filter bubble’ last year. Scientists have since taken Khalezov’s theory and greatly refined it in an attempt to explain all of the physical evidence observed. Right, don’t hold your breath for AE911Truth! It is unlikely there will be any drilling at ground zero for at least 100 years. The ground is still radioactive. The soup was a toxic mix of various isotopes, boron-10, beryllium-9, uranium-235 + radioactive elements created by the nuclear device plus molten bedrock. Faulty, I was not, but will be soon. Looks like great stuff. Will dig in to this with enthusiasm! Take oxygen-starved fires burning thick black smoke near the top of the towers. Now start a ‘collapse’ and magically shift the fire’s position from the top of the towers, to the very bottom of the towers. Now go even further. Bury these oxygen-starved fires under the ground. Now watch them burn for months! This doesn’t happen in the real world. We put out fires by pouring water on them or burying them under earth. Fires with temperatures over 1000C were burning underground for months. Molten steel was burning underground. The bedrock had been liquified. An active volcano can do this. And a nuclear device can do this. When the Kilauea volcano brought major earthquakes and lava eruptions to Hawaii this year starting in May, I grabbed as many photos as I could of the event before they could be scrubbed from the net. Check out the likeness between the hot smoke rising from the ground at the Kilauea volcano in Hawaii and at Ground Zero. Were you aware that in addition to the ‘pre-collapse’ visual movement of the towers and seismic vibrations observed more than 20 miles away, auditory ‘pre-collapse’ cues also existed? Massive explosions could be clearly heard, miles away, seconds and even minutes before each of WTC1, WTC2 and WTC7 were demolished. Most 9/11 truthers know that WTC7 was demolished by explosives, but relatively few know that a nuclear device was used to bring it down. 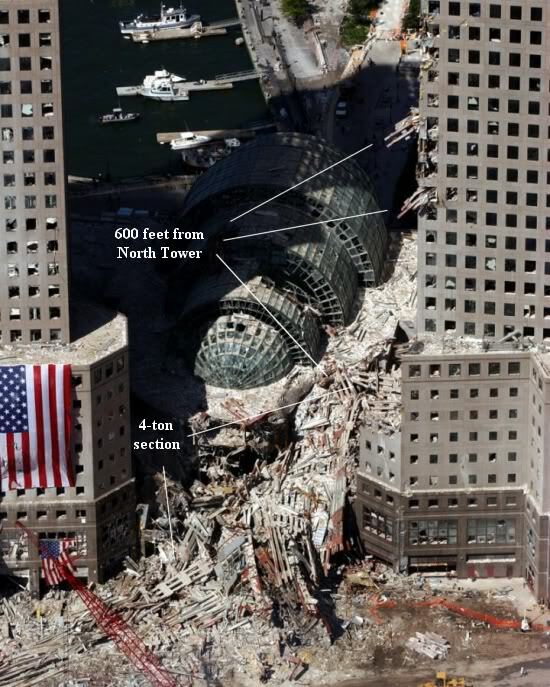 The reason its demolition looked different than that of towers WTC1 and WTC2 is because a smaller nuclear device was used and the lower floors were obscured from view in the most popular videos we see of the event. A rather obscure video recorded by Richard Siegel named “9/11 Eyewitness Hoboken TV” has a treasure of evidence in it. All three tower demolitions were captured on 9/11 and released in this 2005 video. Signature nuclear explosions can be heard before each tower is destroyed. Before presenting the aural evidence I should explain why I have been deliberately avoiding the term ‘nuclear bomb’ up until this point. I mentioned earlier that nuclear devices today come in all different shapes, sizes and flavors. When we think of a nuclear bomb we tend to think of a one-shot detonation resulting in an explosion following soon after. The nuclear devices employed on 9/11 were not this type. Most likely they were slow-cooking nuclear devices set in motion roughly an hour before the towers came down, finally erupting, and then continuing to react underground for several months after 9/11. During the ‘slow-cooking soup’ stage and final eruption, various explosions were heard. In addition to the nuclear explosions, conventional demolition bombs were also heard during the day. For best effect, I would recommend using good speakers with woofers or a good pair of headphones. At 25:15 we hear a series of ‘pre-collapse’ explosions, starting minutes before WTC2 is vaporized. White dust clouds can be clearly seen at the base of the towers. The towers were connected by underground tunnels and as the nuclear device continued its process as a pulsed reactor (bubbling soup mix) hot gases began to escape at the base. After WTC2 was demolished Siegel was asked to move from Hoboken Pier to make way for rescue boats. He moved to Frank Sinatra Pier and began filming WTC1. 48:38 Calculations are made to account for the sound delay at almost two miles distance from WTC1. 52:06 note the dark colored dust cloud at the core (steel columns vaporizing) and the lighter colored pyroclastic dust clouds (cement floors + furnishings + people). 52:40 timing of the various ‘pre-collapse’ explosions. Siegel had run out of most of his tape by this time and so put his camera on ‘pause’. 1:05:55 an explosion is heard 9.5 sec. before ‘collapse’. He caught the big explosion before WTC7 came down but there was a sound drop-off for a few seconds before the tower dropped. 1:07:45 Note the pyroclastic clouds, ‘smoking gun’ evidence for a nuke. 1:09:10 Incorrectly stated “typical of controlled demolitions”. They are typical of controlled nuclear demolitions. At the time video was made (2005), Siegel and crew knew it was a controlled demolition but didn’t realize a nuclear device was used. In an earlier post zyxzevn made a comment about cameras and radiation. I am adding this final part on video interference to address this issue. As stated earlier, the nuclear devices used on 9/11 were relatively clean (ie. they gave off a minimal amount of radiation). Despite being relatively clean they still gave off radioactive fallout which entered the bodies of thousands of first responders and citizens of New York causing numerous forms of cancer. I will give just a few examples of videos taken on 9/11 before and after the towers’ demolitions where you can see camera fails, or camera interference in both the picture and sound. There are likely dozens more examples that can be found on the internet if you are curious enough to search for them. This will wrap up my series on physical evidence showing nuclear devices were used on 9/11 in New York. There is also witness testimony and circumstantial evidence corroborating the physical evidence but I prefer to concentrate on hard evidence so I won’t include them here. I will be writing a summary in the days to come where I will try to tie everything together and also reveal the ‘filter bubble’ that led me to my revelations. Several here have told stories about trying to convince family, friends, colleagues and students that 9/11 was an inside job etc. and meeting stiff resistance. Cognitive dissonance is often the culprit. People simply refuse to believe their government would ever do anything to harm its citizens and won’t even consider the evidence you present to them. When the subject turns to nuclear weapons, specifically one’s own government using them on its citizens, that cognitive dissonance in almost all cases becomes insurmountable. I would go so far as to say that even amongst us Corbeteers, particularly Americans, who are perhaps some of the most open-minded truthers around, a certain degree of cognitive dissonance exists when it comes to nukes and 9/11. Pyroclastic dust clouds occurred in New York on 9/11, not once, not twice, but on three separate occasions. Conventional explosives such as TNT, C4, RDX and nitroglycerin will not produce pyroclastic dust clouds. Thermite/nano-thermite will not produce pyroclastic dust clouds. Since volcanoes didn’t erupt at the base of the towers, nuclear devices had to have been used to destroy them, as pyroclastic dust clouds will only occur in these two instances. Unfortunately this is not taught in the public school system. Most truthers say WTC7 is the smoking gun of 9/11. I say the IN YOUR FACE pyroclastic dust clouds are the smoking gun of 9/11. If and only if, you realize their significance! In addition to the pyroclastic dust clouds, I have submitted nine other pieces of physical evidence which further corroborates the use of nuclear devices on 9/11. All the pieces of the ‘Nuclear 9/11’ puzzle fit together perfectly. So exactly what kind of nuclear device was used three times on 9/11? Enter the ‘filter bubble’ I pricked a little over a year ago. Heinz Pommer, a German nuclear physicist has done some brilliant work over the past couple of years on this subject. He has been refining his theory as to what the device was made of and how it worked. Fortunately for us he is able to explain the important details in layman’s terms so that it is easily understood. In addition to publishing papers on his theories he has been traveling around Europe giving lectures to small audiences interested in the subject. I highly recommend you watch his videos, starting with the latest one that was recorded in London on May 1, 2018 to see him explain his most recent theories about the weapon. He has also published .pdf’s summarizing these videos. My goal in putting together this series was two-fold. I first wanted to organize the evidence I had researched so that it could be presented to future audiences at a moment’s notice. Secondly I am hoping that this information will inspire fellow Corbeteers to pursue the subject on their own and look through the 9/11 lens with greater clarity and understanding. The ‘Nuclear 9/11’ revelation shocked me to my very core and continues to have a profound effect on my thinking each day. Faulty you have summed it up in the finest esoteric and logical manner. Yes I agree the facts are right in front of our eyes with which we see, our ears with which we hear and in our mind with clarity which we remember to be true. Very fine work. Evidence needs a venue of fair and impartial jurors and I hope they would convict. I also applaud and appreciate the tremendous amount of effort you put into this series, Fawlty Towers. Truly, I learned a great deal through all the photographic and video evidence you posted, and will follow up by looking into the work of Heinz Pommer. Thanks so much. -The Egyptians and Jordanians largely believe Israel carried 9/11. -Pakistanis don’t at all believe that “Al Qaeda” did it. “…A poll conducted by CNN-IBN in August 2007 found that only 1 in 20 of those polled in Pakistan believe that al-Qaeda is responsible for the 9/11 attacks. 63% don’t know and 27 percent believe it was U.S. Gov…. -The fiercly politically correct French are predictably out to lunch. -The same can be said for the Swedes. A poll conducted by CNN-IBN in August 2007 found that 2 out of 5 of those polled in India believe that al-Qaeda is responsible for the 9/11 attacks. I knew all about demonstrating and writing to my congress(wo)man but virtually nothing about the technical ins and outs of “American Democracy”. but no. You had to join a club in fact to voice your opinion. the other possibility was registering as an Independent but they explained that in that case you didn’t always get to vote …? Oh and uh…speaking of voting… who’s the guardian of your As…? Couldn’t stomach this one. The whole story is beyond believable, Aaron and Melissa are really ready to go that extra mile. “…We hope to have formal agreements within a period of six months. Ambassadors from 20 countries were present at the inauguration. The formal process will start once the ministry of foreign affairs is formed. Oh, I’m convinced, there guys are nutcases. And they apparently have a lot of cash at hand. 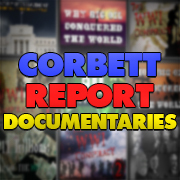 Corbett did a wonderful, short video about the Bohemian Grove! It is perfect for “skeptics”. I appreciate Keith mentioning this. So rich I don’t even know where to begin. I have watched/read countless videos/articles of James (prior to this one) concerning 9/11 and was always yearning for him to state his position clearly; his take of the operation. Well finally we got an interviewer to ask the right questions about 9/11, the questions that really matter. And James dutifully delivered his take. But I must say I was quite surprised with what he had to say. Human perception is such a strange phenomenon. Ask 100 people to read the same book or watch the same movie and you will get a 100 different interpretations of what they just read/watched. If I drop a rock, and it falls to the sky, I don’t need to be a physicist to realize that this is an exceptional event that merits further scrutiny and investigation even if I cannot explain the dynamics of this phenomenon myself. is an exceptional enough event as to merit further scrutiny. Mr Corbett is no thermo-dynamics specialist and can not speak khowledgeably on this type of technical issue. mbp:If I drop a rock, and it falls to the sky, I don’t need to be a physicist to realize that this is an exceptional event that merits further scrutiny and investigation even if I cannot explain the dynamics of this phenomenon myself. And this happened on 9/11! Multi-ton steel beam assemblies which were supposed to fall directly to the ground were taking circuitous routes! Some ‘falling’ sideways, some even ‘falling’ upwards before succumbing to earth’s gravity! For some it certainly merits further investigation. However thanks to my science background I can explain the dynamics of this phenomenon. Regretfully, I have learned that intellect alone will not guarantee an understanding of the basic principles of science, whether they be intuitive or not. … Mr Corbett is no thermo-dynamics specialist and can not speak khowledgeably on this type of technical issue. Further investigation of 9/11 is merited and is not in question. However one does not have to be a thermo-dynamics specialist and speak knowledgeably on the subject to understand that explosives had to have been used to bring down the towers. Some people see this and know it intuitively. For those who can’t, all that is required is a head on their shoulders and the ability to reason. It takes less than five minutes to show that explosives had to have been used. No special university degree or extraordinary intellect is required to either demonstrate this, or understand it. Mr Corbett has come as far as he has because he is scrupulously meticulous and masters the ins, outs and abouts of his subject before attempting to instruct anyone else on it. and away from the simple, crucial fact that “9/11” was a crime being investigated by some of the very same people who may’ve committed it. Mr Corbett has preferred to go about proving the above paradox in a myriad of ways and I daresay he has made the most compelling cases I’ve encountered any where in the cybersphere. And definately more compelling than the plethora of technical architectural and physical debates out there. but rather on those he considers to be as equally or more damning and that he does master. However, by all means, submit your exposé for his perusal and perhaps you will be able to get your precious perspective publicized via Mr Corbett’s platform, learn of his exact stance on the subject and prove that he dropped the ball during Mr Knight’s excellently conducted interview. Red herring, exactly right. It took me several years to get it, but I finally did get it and it’s rather simple. People simply can’t unbelieve what they have seen and if it so happens that cognitive dissonance arises they’ll look at the whole of the issue as through a pinhole, concentrating on that one facet of the event, the one which they have seen (the one which has, for all intents and purposes, reprogrammed their brains forever) but the one which is practically impossible to prove either way. Jet fuel? “Standard” explosives? Thermite or thermate? Big nukes? Small nukes? Energy weapons? Why not a combination of all of these or at least most of these? What about the planes, yay or nay on the existence of the planes? Have the planes been replaced with other similar planes or have smaller planes been used? Have maybe rocket shaped planes been used instead? How about those videos? If there were no planes, someone should have seen or recorded something of the sort, not all videos could have been edited, surely? Holograms, oh you must be kidding, holograms?!!?!?! Expressing an opinion on any and all of these questions is to hold a blind belief. It’s to believe your conclusion is the right one, that you found the solution of this unsolvable puzzle in which all (or at best most) fragments fit and that you have built a thesis around these conclusions which at some point or other will necessitate to be upheld fervently. With passing of time, some fragments will break off and become available to the public, but it’s always under the control of the very same class of people who still have that shared interest of keeping the event occult. OK, the Gulf of Tonkin incident was uncovered to a certain extent officially, but of course a lot more remains hidden and still there weren’t any major repercussions. People still blindly believe in their government overlord and it did lead to slaughter of millions of Vietnamese with still lasting effect to the progeny, but oh well they are lesser people anyways so who the hell gives a damn, right? Not right. You have mentioned the occult, that must be the esoteric mysteries. As Bill Cooper said” they have sworn 32 lifeblood oaths to die before revealing their secrets of the great works and 34 more will assure they will not talk”. They build tributes to their work here; big phallic structures, reflecting pools and rub it in our profane face. Ground Zero, Oklahoma City for instance. You seem knowledgeable, does that occult show itself there in your neck of the world like it does here? We don’t get much phallic structures here, for sure. Even the occult symbolism isn’t omnipresent because, I’d say, the people in power are not of such disposition, most of them probably haven’t been even introduced with that term, and the people themselves are quite subservient. I think these occult matters are used for higher degrees of control while in my failed state it simply isn’t necessary. People bend on their own. Of course there are a bunch of state secrets upon realization of which the ballance of power would be disturbed but people are so bent on holding a grudge therr really is no need to keep anything hidden in plain sight. for more profit and power. Seriously. What to do with folks who prefer dreams to false flag reality? Come to think of it, mbp, once again, from conjuring Nurse Nayirah as whistle-blower to citing Vivien Leigh’s pertinent lines from “A Streetcar named desire”, I’m afraid you’ve hit the nail right smack on the head….once again. I was going to posit that the definitive No. 1 proof of 9/11 as an inside job has yet to be “built”…. That would have been my answer to whomever posed the question to James. That is to say that if an exacting replica of the twin towers were built using the same plans, beam for beam, using the precise tonnage of structural steel, same basement configuration, same office layouts, same asbestos fireproofing, etc., etc., etc., and if the exact same airplanes filled with the exact amount of fuel, flying at the exact speed, were to hit these duplicate towers in the same precise spots…well guess what? The problem is, even if ten of these replicas were built and tested, or a hundred of them, and none of them fell, it would still amount to nothing other than circumstantial evidence that the original towers were brought down by demolition, which is, as we understand it, the truth of what occurred. And why is that? It’s as you intimate, people prefer dreams to reality, Blanche’s desire for magic over realism. People are willing to suspend their relationship to the world of physics with its natural laws and its measure of time and space, when raised with the prospect of their government mass murdering their own citizens. You are quite right. And we see this among those who might otherwise be insightful enough to believe their own eyes, who may otherwise easily grasp the numerous physical laws that were broken that day – energy, heat and gravity among them – if those towers, in the very worst use of the term, fell miraculously down without explosives, into their own footprint near free fall speed, and burying for weeks thereafter its own molten steel. But, that is exactly what people are willing to accept, lest it fall on them to accept otherwise, a government willing to kill its own people. Unfortunately, I know of no other researchers other than Steven E. Jones and Niels H. Harrit who have studied and/or concluded that 9/11 dust samples contained nano thermite. Nor do I know if their research is peer reviewed. Such hard evidence of explosive material in the dust seems to be rather isolated, and for all practical purposes, stand alone. So, by and large, however ridiculous as it may seem, aside from NIST admitting to building 7 falling at or near free fall speed for 100 feet, the implosion of those buildings remain for the most part a matter of speculation, as well as disbelief. Therefore, once again, I agree with you that it’s wisest for James to not commit himself to ascribing the theory of the demolition of those buildings as a proof of an inside job, at least not at this time. 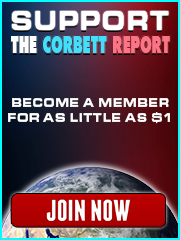 Following the trail of dozens of other highly dubious and suspicious anomalies of 9/11 as James has done for the last decade makes good food for the inquisitive and thoughtful mind, and has been an invaluable service to the 9/11 truth community, and for that matter, a real eyeopener to anyone who might chance upon The Corbett Report. The way I see it, the mess we are in — with an increasingly fascistic and dictatorial government — comes from the increasing (since its inception) corruption of that government, from one constructed to protect civil and human rights and follow the laws set down in the Constitution. Laws that were reasonable for supporting our nation’s infrastructure and allowing for liberty and peaceful coexistence among its citizens. It sounds to me that pure volunaryism does not allow for the laws necessary for a peaceful society — logical, rational laws some of which likely came from the Ten Commandments like “don’t steal” and “don’t kill people except in self defense”, plus the Bill of Rights which sets out rights not to be violated by our government. Once a society decides to have restrictions on behaviors laid out in laws, there must be a mechanism to enforce those laws, and so we create a government and legal system. The problem of overreach and oppression then arises from the corruption of that government through the addition of laws that protect government from the People and that allow abuses of the People by government. We’ve allowed our government to grow into a monster with tentacles reaching into every community through militarized police departments that uphold a whole host of bad laws. Obviously, pure volunaryism (which would allow you to choose whether or not you can kill people who piss you off or some other extreme action) isn’t the answer. But, volunaryism should certainly be an underlying premise for determining the nature of our government and the laws that we allow to be passed and/or put into effect. At this late date, it seems the only action that will make things better is to take our government back into the hands of the People and strip it down to the basic laws of peaceful, civil coexistence and liberties with tax support of our infrastructure and programs deemed necessary by the People in this modern world, with voluntaryism and our Constitution guiding the process. What do you say?